It would be hazardous to presume that every organization, which is certified under Section 80-G of the Income Tax Act, would, of necessity, be entitled, ipso facto, to immunity from the applicability of the Payment of Bonus Act. There is substance, in the contention advanced by Mr. Sanjay Ghose, learned counsel for the petitioner, that the word “charitable purpose”, as used in Section 80-G (5) of the Income Tax Act, may not readily be equated with the words “not for the purposes of profit”, as used in Section 32(v)(c) of the Payment of Bonus Act. It is well-settled principle, of interpretation of statutes, that different words used in one statutory instrument, have to be accorded different meanings, on the presumption that the legislature, in using such different words, must have intended it to be so. The Income Tax Act uses the expression “not for purposes of profit” in various sub-clauses of Section 10(23C) which, it is well settled, is a provision closely interlinked to Section 80-G. Where the two expressions “charitable purpose” and “not for purposes of profit” are used in the same statute, in cognate provisions, even if situated at some distance from each other, they cannot be accorded the same meaning, without due justification. In the present case, the situation would be worse, as Mr. Manish Sharma would exhort this court to equate the words “for charitable purpose”, as used in Section 80-G of the Income Tax Act, with the words “not for purposes of profit” used in Section 32(v)(c) of the Payment of Bonus Act. This, in my opinion, would be entirely impermissible in law. That apart, the object and purpose of the Income Tax Act, and of the Payment of Bonus Act, are completely distinct and different from each other. Per sequitur, the purpose of grant of exemption, in respect of donations made to an organization certified under Section 80-G of the former Act, would be distinct from the purpose of granting immunity, to an organization or institution, from the applicability of the Payment of Bonus Act, under Section 32(v)(c) thereof. No attempt has been made, before me, to equalize, or even analogise, the objects and purposes of the two statutes. What is being sought to be contended is that recognition under Section 80-G of the Income Tax Act would, for that very reason, exclude the institution from the applicability of the Payment of Bonus Act. I am unable to agree with the said contention. Before concluding the discussion on this aspect of the matter, I may also note that the certificates, under Section 80-G of the Income Tax Act, which have been relied upon, by the respondent, state, in one voice, that they have been issued on the basis of “facts stated” by the The nature, and character, of the said “facts”, as stated by the respondent to the Income Tax authorities, is not known to this court. This court does not know whether the respondent disclosed, to the Income Tax authorities, all its activities, and is unaware of the evidence produced by the respondent to justify its claim for certification under Section 80-G. Equally is this court unaware of the nature of investigation, enquiry, conducted by the Income Tax authorities before issue of the said certificate. For this reason, too, the reliance, by the respondent, on the certificates issued to it, under Section 80-G of the Income Tax Act, to press its claim for immunity from application, to it, of the Payment of Bonus Act, has to be characterized as misplaced. 1. The Batra Hospital Employees Union claims, in this petition filed under Articles 226 and 227 of the Constitution of India, to be aggrieved by an Award, dated 03rd November 2003, passed by the Industrial Tribunal-I, Karkardooma (hereinafter referred to as “the Tribunal”), which holds that the provisions of the Payment of Bonus Act, 1965 do not apply to the Batra Hospital and Medical Research Center. 4. The claimant-workmen, before the Tribunal, were arrayed as “Workmen as represented by Ch. Aishi Ram Batra Charitable Trust Employees‟Union”. 5. Statement of Claim was filed, by the workmen, before the Tribunal, contending, inter alia, that (i) the nomenclature of the Trust, which ran the respondent-Hospital was misleading, as the Hospital practiced no charity, (ii) no free treatment was given to any patient in the hospital, (except to certain VIPs), (iii) there were instances in which dead bodies, of patients who had breathed their last breath in the hospital, were not handed over to their relatives except after payment of huge amounts therefor, (iv) the balance-sheet of the hospital clearly showed that it was earning huge profits and that, from the said profits, amounts were diverted towards development of the hospital building, purchasing of machines etc. and (v) the Trust owning the Hospital was controlled by the members of one family and the resources and profits from the Hospital were used by the members of the said family, to the extent that the vehicles, staff etc. of the Hospital were used by the said family members. Accordingly, the workmen submitted that the “charitable” exterior of the Hospital was a mere facade and that, therefore, the Hospital was reneging on its statutory obligation to disburse bonus under the Act which, according to the workmen, applied to the respondent-Hospital on all fours. 6. Written Statement was filed by the respondent-Hospital, in response to the Statement of Claim of the workmen. Two preliminary objections were raised, by the respondent-Hospital, before the Tribunal, viz. (i) that there was, in fact, no Union, existing in the respondent-Hospital, which went by the name of “Ch. Aishi Ram Batra Charitable Trust Employees‟Union” and (ii) that there was no evidence to show that the dispute was espoused by a majority of the workmen of the respondent-Hospital, as required by the ID Act. 7. Apart from the objection regarding the nomenclature of the Union as reflected in the memorandum of parties heading the Statement of Claim, the respondent-Hospital contended that (i) it was not a hospital established for the purposes of profit, but was a charitable hospital, (ii) this was proved by the fact that, it had been granted exemption under Section 80-G of the Income Tax Act, 1961 (hereinafter referred to as “the Income Tax Act”), (iii) the Inspecting Officer appointed under the Income Tax Act had always found the Hospital to have been established for a charitable purpose and consequently, exempted it from the applicability of the Act, (iv) the allegation that the Hospital was earning huge profits was false and, in fact, any money generated was strictly used for bettering the services provided in the Hospital and (v) the resources from the profits earned by the Hospital were not used by the Trustees or family members, and the allegations made in this regard, in the Statement of Claim, were entirely false. Additionally, the respondent also assailed the maintainability of the industrial dispute on the ground that it had not been espoused by the majority of workmen working in the Hospital as required by the Industrial Disputes Act 1947, (hereinafter referred to as “the ID Act”). “1. Whether the union through which the claim has been filed has locus standi to file the same? If not its effect. 2. Whether the dispute is espoused? If not, its effect. 9. All three issues were decided, by the Tribunal, against the workmen and in favor of the respondent-Hospital. 10. The workmen and the respondent-Hospital cited, in their support, only one witness each, the workmen‟s witness (WW-1) being Vijay Singh, President of the petitioner-Union and the respondent‟s witness (MW-1) Sh. Ajay Jawatkar, Law Officer of the Trust which managed the respondent-Hospital. Affidavits-in-evidence were tendered, by the said witnesses, on 04th February 2003, and in their examinations-in-chief, which took place on 22nd May 2003, both witnesses stood by their affidavits. The said affidavits were merely repetitive of the Statement of Claim and Written Statement respectively, the contentions of which have already been referred to herein above. “Two years back, there were about 1300 to 1400 employees were employed in Batra Hospital. I do not know how many employees are there at present. Again said there were 1500 employees. About 800 employees of Batra hospital are members of Charitable Trust Employees Union at present. In the year 1999, about 750 employees were members of this union. The union is maintaining a register of membership. I was elected as President of the aforesaid union in the year 1997. Vol. and I am still the President. The record of elections held is maintained by the union. The union maintains the minute book with regards to the minutes of meetings. It is incorrect to suggest that the nurses working in Batra Hospital are not members of the above said union. I cannot admit or deny that last year, a settlement had taken place between the nurses and the management. It is correct that the registered name of the management is Batra Hospital and Medical Research Centre of Choudhary Aishi Ram Batra Public Charitable Trust. Vol. the name displayed of the mgt. at every place is Batra Hospital and the regd. name and in common parlence, the mgt. is known as Batra Hospital. It is correct that there is no union by the name of Choudhary Aishi Ram Batra Charitable Trust Employees Union. It is incorrect to suggest that the mgt. is a Society regd. under Societies Act or the hospital is a charitable hospital. It is correct that payment of Bonus Act is not applicable to charitable hospital. It is incorrect to suggest that I have filed a false affidavit”. “I am not a Personnel Officer but a Law Officer with the mgt. Letter Ex. MW1/W-1 bears the signature of Shri. V.P. Gahar and of mine at point B. At that time, I was the Personnel Officer. It is incorrect to suggest that I continued to be a Personnel Officer or was never given the designation of Law Officer. I am not aware of the existence of Batra Hospital Employees Union. One Bhartiya Mazdoor Sangh which is an affiliated Union is functional of the employees of the mgt. It is incorrect to suggest that the mgt. had entered into any settlement with Batra hospital Employees Union. It is not to my knowledge that the mgt. had filed a suit against Batra Hospital Employees Union or that the same was decided by the Court of Shri. L.S. Solanki, Civil Judge, Delhi. The mgt. has displayed on board that it is charitable hospital. Voll. even on the file it is mentioned that it is a charitable hospital. The mgt. run free O.P.Ds and free treatment including surgery is provided to poor patients. At present, I do not recall the name of any person who had been given such treatment. I am not aware whether the mgt. maintains a list or not of the persons to whom free treatment is given. I do not know the exact location of the board wherein it is displayed that it is a charitable hospital. I am not aware whether the dead body of one of the deponent of an employee was not released by the hospital for non-payment of hospital charges, or that an FIR was registered in this regard, bearing No. 117/98 PS Ambedkar Nagar. I say that the union had not been authorized as no document has been placed on record in this regard or before the mgt. Mgt. is a Society and not a Trust. I am not aware whether all the members of the Executive body of the Society are family members or relatives, Apart from Ex. MW1/4. I have no other document to show that the mgt. had been exemption U/s 32(v)(c) of the Payment of Bonus Act. It is incorrect to suggest that all the patients are required to pay the registration fees. Vol. the person availing free O.P.D. & free treatment does not pay any registration fee. Further Vol; a Rs. 5/- card is prepared for the purposes of identification and further reference. Booklet depicting rates is meant only for the persons who are charged and as such, it is not mentioned there hospital is providing any free O.P.D. and free treatment to poors. I cannot recall at present as to in which of the broacher of the mgt., it is mentioned that it is providing free treatment and free O.P.D. It is incorrect to suggest that the management has not mentioned in any brochure that it is providing free O.P.D. and free treatment to the poor patient. A person having income less than Rs. 2500/- falls in the category of a poor person. At present, I have not brought any document to show that a person having income of Rs. 2500/- p.m. is considered as poor eligible for free treatment. Except Ex. MW1/4, there is no other document to substantiate the averments, made in para 9 of my affidavit. I am not aware about the quantum of donations received by the hospital. The mgt runs from the donations received by it and as well as the income from patients. I am not aware about the proportion of the donations received. I am not aware about the statement of income & expenditure reflected in the balance-sheet of the mgt. I do not know the name of a person who has made donations to the mgt. I cannot admit or deny the suggestion that the Municipal Authority charges subsidized rates for water and electricity from the mgt. I cannot admit or deny that the equipments imported by the mgt are duty free. It is incorrect to suggest that no board is displayed regarding the hospital being a charitable institution”. 13. Inasmuch as the objection, by the respondent-Hospital, framed as Issue No. 1 (supra) – which has emphatically been pressed, before me as well, by Mr. Manish Sharma, learned counsel for the respondent-Hospital – appears, to me, to be entirely insubstantial, it is thought appropriate to dispose of the said issue at the outset. The substratum of the objection, as voiced by the respondent-Hospital, before the Tribunal as well as before this court, is that the Union which initially represented, on 23rdJuly 1999, to the respondent-Hospital, was the “Batra Hospital & Medical Research Centre of Ch. Aishi Ram Batra Charitable Trust Employees‟Union (Regd. No. 4144)”, the Union which raised the industrial dispute and, subsequently, petitioned the Tribunal, was the “Ch. Aishi Ram Batra Charitable Trust Employees‟ Union”, (Regd. No. 4144) and that Union which has petitioned this Court, against the award of the Tribunal, is the “Batra Hospital Employees‟ Union”. 14. Mr. Sharma would, therefore, contend that there is a multitude of Unions operating, with different unions purportedly espousing the cause of the workmen at different points of time. This, he would contend, is impermissible. 15. The Tribunal, for its part, has merely relied on the two statements, of WW-1 Vijay Singh, in his cross-examination, which have been italicized in the record of his cross-examination as extracted herein above, viz. that “about 800 employees of Batra Hospital are members of Charitable Trust Employees Union at present” and “it is correct that there is no union by the name of Choudhary Aishi Ram Batra Charitable Trust Employees Union”. These two “admissions”, by WW-1, in the estimation of the Tribunal, clearly indicated that (i) the employees of the respondent-Hospital were members of the “Charitable Trust Employees Union”, and not of either the “Batra Hospital & Medical Research Centre of Ch. Aishi Ram Batra Charitable Trust Employees‟Union” or the “Ch. Aishi Ram Batra Charitable Trust Employees Union” (which was the claimant before the Tribunal), and (ii) in fact, there was no Union known as “Ch. Aishi Ram Batra Charitable Trust Employees‟ Union”. In other words, the Tribunal expressed the view that the Union, which had initiated the industrial dispute, i.e, the claimant before it, was a non-existent entity, and that the employees of the respondent-Hospital were actually members of the “Charitable Trust Employees Union”, which was nowhere in the picture. 16. I am constrained to observe that the aforesaid objection, and voiced by the respondent-Hospital, was ex facie frivolous in nature, and that the finding, of the Tribunal, thereon, suffers from perversity. It is clear that a mountain is being made of a molehill, merely to avoid adjudication on the merits of the issue. The Union that had represented to the respondent-Hospital, on 23rdJuly 1999, was the “Batra Hospital & Medical Research Centre of Ch. Aishi Ram Batra Charitable Trust Employees‟Union”. The union, representing the workmen before the Tribunal, was named, in the memo of parties, as “Ch. Aishi Ram Batra Charitable Trust Employee‟s Union”. The respondent seeks to make capital out of the fact that the words “Batra Hospital & Medical Research Center of” were missing, in the said name of the union as filed before the Tribunal, to contend that these were two unions, and that the union which had, theretofore, been championing the cause of the workmen, was not the Union which was before the Tribunal. The submission is thin as tinsel. Much ado is being made, in my opinion, about nothing. The supposed discrepancy, in the name of the Union, as it figures on the representation made to the respondent, and in the Statement of Claim before the Tribunal, is no discrepancy at all. Mr. Sanjoy Ghose, appearing for the petitioner, contends – in my opinion rightly – that the name of the union was shown as “Ch. Aishi Ram Batra Charitable Trust Employee‟s Union” only because of the unwieldy moniker of the Union, i.e. “Batra Hospital & Medical Research Centre of Ch. Aishi Ram Batra Charitable Trust Employee‟s Union”. In any case, the Registered Number of the Union, i.e. 4144, was prominently indicated, both at the head of the representation dated 23rd July 1999 (Ex. WW-1/A before the Tribunal) as well as in the Memo of Parties before the Conciliation Officer (which was exhibited, before the Tribunal, as Ex.WW-1/4). The address of the Union, as shown at the head of the representation dated 23rd July 1999 supra was also the same as the address of the claimant-Union before the Tribunal. If nothing else, these correlations should have afforded sufficient indication, to the Tribunal, that the “Batra Hospital Medical Research Centre of Ch. Aishi Ram Batra Charitable Trust Employees‟ Union” and the “Ch. Aishi Ram Batra Charitable Trust Employee‟s Union” were one and the same. 17. I am equally unable to appreciate the reliance, by the Tribunal, on the reference, in the cross-examination of WW-1 Vijay Singh, to the fact that “about 800 employees of Batra Hospital are the members of the Charitable Trust Employees Union at present”. The Tribunal, apparently felt that this isolated statement indicated that the employees of the respondent-Hospital were members of an entirely different Union known as the “Charitable Trust Employees Union”. This finding appears, ex facie, to suffer from perversity. I am unable to accept that, in making the said statement, viz. that about 800 employees of the respondent-Hospital were members of “Charitable Trust Employees Union”, WW-1 Vijay Singh was referring to an entirely different union distinct from the Union which had petitioned the Tribunal. It is clear, to my mind, that the “Batra Hospital & Medical Research Centre of Ch. Aishi Ram Batra Charitable Trust Employees‟ Union”, the “Ch. Aishi Ram Batra Charitable Trust Employee‟s Union” and the “Charitable Trust Employees Union” were one and the same union, and not three different Unions. “Name changed to Batra Hospital Employees Union vide Letter No.F10 (4144) RTU/453 date 30.05.2001”. Batra Hospital & Medical Research Centre of Ch. 163, Balmukund Khand, Giri Nagar, Delhi. With reference to your letter dated 05.03.2001 on the above noted subject, this is to inform you that the amendment has been incorporated in the constitution of the Union as provided under the Trade Unions Act, 1926, as per Annexure „A‟ closed. Annexure A to the aforementioned letter notes that, in the constitution of the “Batra Hospital & Medical Research Center of Ch. Aishi Ram Batra Charitable Trust Employees Union”, the name of the union was amended to “Batra Hospital Employees Union” i.e. the petitioner- Union in the present case. The petitioner has also filed a communication, dated 07th June 2001, addressed by Mr. Vijay Singh on the letter head of “Batra Hospital & Medical Research Center Ch. Aishi Ram Batra Charitable Trust Employee‟s Union” to the management of the respondent-Hospital, informing the respondent that the name of the Union had been changed in the records of the Registrar of Trade Unions, and that the Union would be known, thereafter, as “Batra Hospital Employees Union”. 20. Mr. Manish Sharma has, very fairly, not objected to the filing of the said documents by the petitioner and, in my view, they further serve to establish the factual position that the name of the petitioner-Union was originally “Batra Hospital & Medical Research Center of Ch. Aishi Ram Batra Charitable Trust Employee‟s Union” and that, on 30th May 2001, it was changed to “Batra Hospital Employee‟s Union”. I am unable, therefore, to accept the submission of Mr. Sharma, learned counsel for the respondent, that different unions were taking up the issue at different times. It appears to be a case of one single union, the name of which was changed on 30th May 2001 from Ch. Aishi Ram Batra Charitable Trust Employee‟s Union” to “Batra Hospital Employees‟ Union”. 21. Insofar as Issue No. 2, regarding the espousal, of the issue, by a majority of the workmen working in the respondent-Hospital, was concerned, the Tribunal held that the petitioner had not filed any document showing that an appreciable number of the employees of the respondent-Hospital were the members of the Union, that any meeting had been held by the union espousing the cause of the workmen or that the majority of workmen in the respondent-Hospital had authorized the petitioner-Union to espouse their cause. The absence of any assertion, to the said effect, in the affidavit of WW-1 Vijay Singh, was also noted. The learned Tribunal also took stock of the statement, by WW-1 Vijay Singh, in his cross examination, that 800 employees, out of 1400 employees working in the hospital were members of the petitioner- Union, but stated that no document, in this regard, had been filed by the petitioner-Union. 22. “Espousal” is a concept foreign to the ID Act; devised by Courts prior to the insertion, therein, of Section 2A, which deems the dismissal, retrenchment, discharge or termination of any individual workman to be an industrial dispute. “Industrial dispute” was – and is – otherwise defined, in clause (k) of Section 2 of the ID Act as meaning “any dispute or difference between employers and employers or between employers and workmen, or between workmen and workmen, which is connected with the employment or non- employment or the terms of employment or with the conditions of labour, of any person”. The word “workmen” having been used in the plural, Courts interpreted the statute to imply that an individual workman could not set up an industrial dispute under the ID Act. Having so held, courts went on, however, to opine that an industrial dispute would be one which is sponsored or espoused by the Union of workmen or by a number of workmen. (Refer State of Bihar v Kripa Shankar Jaiswal, AIR 1961 SC 304, Workmen of M/s Dharam Pal Prem Chand v Dharam Pal Prem Chand, AIR 1966 SC 182 and J.H. Jadhav v Forbes Gokak Ltd, (2005) 3 SCC 202). 23. As such, espousal, either by the Union or by a substantial number of workmen in the establishment concerned, would be sufficient to elevate the dispute to the status of an “industrial dispute”. In the present case, as the registered union of the workmen of the respondent-Hospital had initiated the industrial dispute, the requirement of an “espousal” is clearly satisfied. That apart, there is, on record, a note, in vernacular, stating that, on 28th June 1999, a meeting of the Executive Committee of the petitioner-Union met and decided that, as the Management of the respondent-Hospital had refused to pay bonus, a dispute, in that regard, be instituted in the Labour Court. 24. Mr. Manish Sharma relies on a judgment of a learned Single Judge of this Court, in Management of M/s Hotel Sam rat v G.N.C.T., 136 (2007) DLT 290, to support his contention that the industrial dispute, in the present case was not properly espoused. He has specifically drawn my attention to paras 8 to 14 of the said judgment. A reading of the said paras, however, reveal that they do not advance the case of the respondent to any extent. Rather, the learned Single Judge, in the said decision relied on J.H. Jadhav (supra) but held that, as it was a lone workman who had sought to raise the dispute, the cause suffered from want of proper espousal. The present case is obviously distinguishable. 25. Clearly, therefore, the contention of Mr. Manish Sharma that the dispute in the present case, suffered from want of the requisite “espousal”, has no legs to stand on. “7 Fairness to respondent’s Counsel constrains us to consider in limine a flaw some plea forcibly urged that the union figured as the appellant before us but being no party to the dispute (which was between the workers on the one hand and the establishments on the other) had no locus standi. No right of the union qua union was involved and the real disputants were the workers. Surely, there is terminological lapse in the cause title because, in fact, the aggrieved appellants are the workers collectively, not the union. But a bare reading of the petition, the description of parties, the grounds urged and grievances aired, leave us in no doubt that the battle is between the workers and employers and the union represents, as a collective noun, as it were, the numerous humans whose presence is indubitable in the contest, though formally invisible on the party array. The substance of the matter is obvious and formal defects, in such circumstances, fade away. We are not dealing with a civil litigation governed by the Civil Procedure Code but with an industrial dispute where the process of conflict resolution is informal, rough-and-ready and invites a liberal approach. Procedural prescriptions are handmaids, not mistresses, of justice and failure of fair play is the spirit in which courts must view processual deviances. Our adjectival branch of jurisprudence, by and large, deals not with sophisticated litigants but the rural poor, the urban lay and the weaker societal segments for whom law will be an added terror if technical mid descriptions and deficiencies in drafting pleadings and setting out the cause title create a secret weapon to non-suit a party. Where foul play is absent, and fairness is not faulted, latitude is a grace of processual justice. Test litigations, representative actions, pro bono publico and like broadened forms of legal proceedings are in keeping with the current accent on justice to the common man and a necessary disincentive to those who wish to bypass the real issues on the merits by suspect reliance on peripheral procedural shortcomings. Even Article 226, viewed in wider perspective, may be amenable to ventilation of collective or common grievances, as distinguished from assertion of individual rights, although the traditional view, backed by precedents, has opted for the narrower alternative. Public interest is promoted by a spacious construction of locus standi in our socio-economic circumstances and conceptual latitudinarianism permits taking liberties with individualization of the right to invoke the higher courts where the remedy is shared by a considerable number, particularly when they are weaker. Less litigation, consistent with fair process, is the aim of adjectival law. Therefore, the decisions cited before us founded on the jurisdiction under Article 226 are inept and themselves somewhat out of tune with the modern requirements of jurisprudence calculated to benefit the community”. 27. As regards the merits of the matter, the Tribunal held that the criterion, on the basis of which an institution was excepted, under sub-clause (c) of Clause (v) of Section 32 [hereinafter referred to as “Section 32(v)(c)”] of the Act, from its rigour, was not the actual earning of profits, but whether the institution was established “for the purposes of profit”. The position, accepted by both parties, that the profits earned by the hospital were funneled back into the running of the hospital, which had resulted in its expansion from a small institution to a 300 bedded hospital, it was held, militated against its having been established “for the purposes of profits”. The Tribunal observed that no evidence had been led, by the petitioner, to show that the profits earned by the respondent-Hospital had been diverted for personal use of the members of the family managing the Hospital. Reliance was also placed, by the Tribunal, on the suggestion, given by the petitioner to MW-1, that the Municipal Corporation charged subsidized rates for water and electricity from the respondent-Hospital, and that equipments imported by the respondent-Hospital were duty free. These, the Tribunal opined, further went to show that the Government and the MCD were treating the Hospital as a charitable institution. The Tribunal also relied on the certificates, issued to the respondent-Hospital under Section 80-G of the Income Tax Act, as also the bye-laws of the Trust, which referred to one of the objects of the Trust being the setting up of Hospitals or other Medical Institutions for administering medical relief to the needy, carrying out medical and clinical research and grant of medical help to the poor. This, too, in the opinion of the Tribunal, went to show that the respondent-Hospital had not been established for earning profits. In order to support the theory that, as the profits earned were ploughed back into the managing of the respondent-Hospital, exemption from the applicability of the Act was available, the Tribunal relied upon the judgment in Workmen of Tirum ala Tirupathi Devasthanam v Management, AIR 1980 SC 604. 28. Impugning the said findings, Mr. Sanjay Ghose, besides relying on the submissions contained in the Statement of Claim filed by his client, also draws my attention to the averments contained in paras 5 to 9 of the affidavit in evidence of WW-1 Sh. Vijay Singh. He submits that the said averments were never put to Vijay Singh during his cross-examination, nor was he questioned with respect thereto. He further relies on the admission, by MW-1 Sh. Ajay Jawatkar during his cross-examination, to the effect that he could not recall the name of any person who had been given free treatment by the respondent- Hospital, and was unaware whether the respondent-Hospital maintained any list of the persons to whom free treatment was given. He further draws my attention to the averments of MW-1, during cross-examination, to the effect that he was not aware of the exact location of the board where it was displayed that the respondent-Hospital was charitable, and that the booklet depicting rates was meant only for persons who were charged, which is why there was no reference, therein, to any free OPD or other treatment being provided by the Hospital. The admission, by MW-1 in cross-examination, that he could not recollect where in the brochure released by the respondent-Hospital, it was mentioned that it was providing free OPD or other treatment, was also relied upon by Mr. Sanjay Ghose. He further highlighted the admission, by MW-1, that, except for Ex. MW-1/4 (the letter dated 05th September 1999, from the Assistant Labour Officer to the President, All India General Mazdoor Trade Union), there was no document to substantiate the averment, in para 9 of his affidavit-in-evidence, to the effect that the appropriate authority under the Act had conducted three enquiries into the matter, after which it had been found that the Hospital was established for charitable purposes and was, therefore, excepted from the applicability of the Act. The further admission, by MW-1, that the Hospital ran on the basis of the donations received by it and the income received from patients, was also relied upon. 29. Mr. Sanjay Ghose submits that, in view of the aforementioned evidence, the finding, in para 12 of the impugned award, to the effect that no evidence had been produced, by the petitioner, to support its averment that the respondent-Hospital was charging various amounts from persons who died during treatment, and were handing over dead bodies only after payment of such amount, was ex facie perverse. He highlights the fact that none of the averments contained in the affidavit-in-evidence of WW-1 Vijay Singh, or in the Statement of Claim filed by the petitioner, was traversed in the Written Statement, or in the affidavit-in-evidence filed by MW-1 Sh. Ajay Jawatkar. 30. Finally, Mr. Ghose relies on the judgment of the Division Bench of the High Court of Madras in Christian Medical College and Hospital v. Presiding Officer, 2003 (III) LLJ 650 (Mad). 31. Mr. Manish Sharma, traversing the submissions of Mr. Ghose, relies on (i) the certificate, issued by the Registrar of Societies, registering the Trust under the Societies Registration Act (exhibited as Ex. MW-1/1), (ii) exemptions granted to his client under Section 80-G of the Income Tax Act (exhibited as Ex. MW-1/2), (iii) the recital, contained in the bye-laws of the Trust and relied upon by the Tribunal (exhibited as Ex. MW-1/3) and the communication dated 5th September 1999 (supra) from the Assistant Labour Officer to the All India General Mazdoor Trade Union (exhibited as Ex. MW-1/4). He further asserts that no evidence was produced, by the petitioner, to establish that the respondent-Hospital was not charitable in nature. 32. Section 32(v)(c) of the Act has come up for judicial interpretation on more than one occasion. “2. … On the other hand, there must be proof that the Transport Department (a) is an institution; and (b) established not for the purpose of profit. The Tribunal has not correctly appreciated the import of this latter requirement. It has been found that profits made in some years are ploughed back whatever that may mean. It is also found that the motive for running the industry of transport was to afford special facilities for the pilgrims. These by themselves do not clinch the issue whether the institution has been established not for purposes of profit, nor are we satisfied that merely because in the administrative report of the Devasthanam, there is mention of the transport establishment as a remunerative enterprise, that is decisive of the issue. “Learned Single Judge has referred to the functions of the Board and its powers and rightly held that the purpose behind the functions of the Board is to provide protected drinking water supply and drainage facilities, but this also cannot be disputed that the Board has got its own assets and liabilities, that it has got its method of recovery of the cost of the scheme, making investment and constituting its funds by „all moneys received by or on behalf of the Board …, all proceeds of land or any other kind of property sold by the Board, all charges, all interest, profits and other moneys accruing to the Board and all moneys and receipts‟, deposited into the public accounts of the Government under such detailed heads of accounts as may be prescribed or in the Reserve Bank of India, State Bank of India or any corresponding new bank as defined in the Banking Companies (Acquisition and Transfer of Undertakings) Act, 1970. It has thus a scheme of profit and loss. It shall earn profit in some year and lose in another year. Thus, in its commercial activities of sort, it has got a capital structure of profit, liabilities and labour force to care for. We see reason to hold in accordance with the Rule indicated by the Supreme Court in the case of Workmen v. Tirumala Tirupathi Devasthanam that the Board is an institution designed for profit in the limited sense that when the Government’s department found it difficult to run such projects departmentally, they decided to create a Board and transferred the projects to ensure that there was proper service to the community at large on the one hand and on the other, there was no pressure on the meager revenue and other resources of the State. “14. It may be broadly stated that bonus which was originally a voluntary payment out of profits to workmen to keep them contended, acquired the character, under the bonus formula, of right to share in the surplus profits, and enforceable through the machinery of the Industrial Disputes Act. Under the Payment of Bonus Act, liability to pay bonus has become a statutory obligation imposed upon employers covered by the Act”. (i) The CMC was being run on commercial lines. (ii) The cost of education for a single Medical student was Rs. 64,000/- per year, whereas the fee charged from a student for a year, was only Rs. 3,000/-. This indicated that it was only from the earnings of the hospital, that subsidy could be provided for the student for their education. (iii) The minutes of the Extra Ordinary Meeting of the Association of the CMC indicated that income from patients during 1978-88 was 88%, whereas contribution from the Members was only 1.42%, collections from students amounted to 1.5%, collection from other sources was 2.5% and earnings from the division of community health was 3.4%. (iv) Of 1484 beds in the hospital, only 161 beds were assigned for free treatment, i.e. a mere 11%. 90% of the in-patients and 60% of out-patients were charged on commercial basis. (v) The CMC manufactured 144 items of medicines, sold them to patients at a profit and ploughed back the surplus from the sales to the institution itself. (vi) 90% of the income of the institution came from the Even if the purpose of establishment, and the object of the institution at that time, had been to serve the poor, it was not necessary that the said object continued. (vii) Free service, on charitable lines, was no longer available to all patients, as was admitted by the CMC itself. 38. It is significant that, in this decision, the High Court of Madras approvingly cited an earlier decision, of the High Court of Bombay in Maharashtra State Electricity Board v M. C. Chitale, MANU/MH/0158/1980, which held that even an organization, such as the Electricity Board, which was admittedly constituted with the primary and dominant purpose of providing electricity and, thereby, serving public interest, was covered by the Act, as the organization worked on a commercial basis, which necessarily required surplus of income over expenses which, in turn, amounted to profit. It was opined, therein, that the fact that the profits thus earned were invested to further the objects for which the Electricity Board was created, did not alter the legal position, or render the Board an institution “established not for the purposes of profit”. As such, the Madras High Court expressed the view that ploughing back, of the profits earned, into the institution for betterment of the same, would not immunize the institution from the rigours of the Act. This section, held the High Court, contemplated that the affairs of the Board should be conducted in such a way that the Board did not incur losses as far as practicable. This, it was held, did not mean that the Board should not make profits, much less that the Board had been established not for the purposes of profit. “4. The concept of the bonus, the object sought to be achieved by its grant and the circumstances warranting the enactment of the Act clearly and unambiguously show that it is a welfare legislation. The payment of bonus cannot be equated with the grant of bounty or a charity. Such a right is proved have been acquired by the industrial workers after a prolonged struggle and legal battles. The Act is intended to achieve the socialistic goal as enshrined in the preamble of the Constitution. Such welfare measures incorporated under the Act cannot be permitted to be frustrated by adopting a hypertechnical approach. Liberal construction and interpretation beneficial to the workmen for whose benefit the Act has been legislated are required to be kept in mind. The Supreme Court in Hindustan Steel Works Construction Limited v State of Kerala and Others, held that, Welfare Acts which are enacted to protect the interests of the workers should not be allowed to be frustrated by putting interpretations which may result in frustration of the object sought to be achieved by the Act”. “An analysis of the provisions of the State Act would indicate that the Board cannot be termed to be an institution established not for the purposes of profit. The Board, as noted earlier, is carrying on the commercial activities for which it has the power to demand and collect the service charges by way of levy of rates, fees, rentals and other charges. It has funds to its credit which are utilized among st other things for future adequate maintenances of water supply and sewerage. Under Section 24(A) the Board has authority to create a reserve for improvement works and under Section 24 of the Board can create a depreciation reserve. Chapter-III of the State Act specifically and clearly deals with the Boards‟ Finance, Accounts and Audits and shows that it carries on the commercial activity with respect to the work entrusted to it. In this view of the matter the Board cannot be termed to be institution established not for the purposes of the profit within the meaning of Section 32(v)(c) of the Act”. “The income and property of the Board, howsoever derived, shall be applied towards the promotion of the objects set forth in the Memorandum of Association, subject nevertheless in respect of the expenditure of grants made by the Government of India may lay down from time to time. No portion of income and the property of the Board shall be paid or transferred directly or indirectly by way of dividends, bonus or otherwise, howsoever, by way of profit or to any of them, or to any person claiming through them or any of them, provided that nothing herein contained shall prevent the payment in good faith of remuneration to any members thereof other persons in return for any service rendered to the Board or for traveling allowance, halting allowance and other similar charges”. “Even this clause contemplates the possibility of profit called surplus emerging as a result of diverse activities of the Board. It is true that these profits are not to be distributed among st the members; but that injunction only would deal with the mode of distribution of profits and their utilization. That will have nothing to do with the moot question with which we are concerned as to whether the Memorandum and Articles of Association of the Board indicated that the Board is an institution which is established not for the purpose of profit as required by S. 32(v)(c) of the payment of Bonus Act. On the facts of this case, it has to be held that the petitioner Board is not an institution established not for the purpose of profits. The Tribunal has noted that the annual report of the Board produced on the record show that the excess of income over expenditure was 11,82,480/- in 1977-78 including Rs. 1 lac transferred to general reserve; Rs. 1,81,826 in 1978-79; Rs. 8,58,357/- in 1979-80 and Rs. 16,08,530/- in 1981-82. The general reserves as on 31st March, 1982, are Rs. 53 lacs. Even in the final award passed by the Tribunal, overruling the preliminary objections, it has been found that sufficient profit has emerged out of the working of the Board over years. The Tribunal has also noted that the Board is of course established for the benefit of the community at large, but its activities set out in the judgment are such that it cannot be said that they are run not on commercial basis. Apart from grants, the Board receives income by way of technical service fees, for feasibility studies, training fees and also royalty. The rules enable it to make investments. Under these circumstances, it must be held that there is overwhelming evidence on record of this case to show that the petitioner Board is not one of the institutions which is established as contemplated by S. 32(v)(c) of the Payment of Bonus Act, meaning thereby that it is not an institution established not for the purpose of profit”. 32. Of the aforesaid three components, namely, language, purpose and discretion “of the Court”, insofar as purposive component is concerned, this is the ratio juris, the purpose at the core of the text. This purpose is the values, goals, interests, policies and aims that the text is designed to actualize. It is the function that the text is designed to fulfill. The interpretative principle thus enunciated, has been followed, by the Supreme Court, in its recent decision in Richa Mishra v State of Chhatisgarh, (2016) 4 SCC 179. 44. The object of the Act is apparent from the Preamble thereto, which reads “An Act to provide for payment of bonus to persons employed in certain establishments on the basis of profits or on the basis of production or productivity and for matters connected therewith.” Clearly, the Act proceeds on the premise of the right, to bonus, in case the institution concerned is making profits, or if it experiences enhancement in production or productivity. The labour- centric character of the legislation, to which the judgements aforementioned have referred, is writ large on its face. That such legislations are required to be expansively, rather than restrictively, interpreted, is a normative reality, and I am entirely in agreement with the principles laid down by R.P. Sethi, CJ (as His Lordship then was), speaking for the High Court of Karnataka in Workmen, Bangalore Water Supply and Sewerage Board (supra). In the case of an institution which is making profits, therefore, the judicial effort, clearly, has to aim at ensuring bonus, to its workers, rather than denying the same by resorting to any hyper-technical interpretation of the statute. Of course, if the statute unambiguously excludes an institution, then, needless to say, it is no part of the duty of the court to bend backwards to encompass the institution within the ambit thereof. In fact, the interpretation, by the High Court of Bombay, in Maharashtra State Electricity Board (supra), of the expression “established not for purposes of profit”, as meaning “that the profit motive is completely absent from the working of those institutions” appears, in the estimation of this court, to be possibly the nearest approximation to what the legislature intended when it engrafted the provision. (i) The question of whether an institution is, or is not, established “not for the purposes of profit” cannot be decided merely by referring to the original intent and purpose for which the institution may have been set up, as reflected in its Memorandum of Association, Bye-Laws, or any other similar Else, it would be easily possible for any institution to avoid the payment of bonus under the Act, merely by incorporating a clause in, or wording, its Memorandum of Association or Bye-Laws, to the effect that it is established for charitable purposes, and not for the purposes of profit. Such subterfuge would obviously be impermissible in law. (ii) If any institution is making profits, given the object of the Act, it would not be possible to treat it as an institution “established not for the purposes of profit”. The making of profit has an indelible nexus with the pay ability of bonus, during the Full Bench Formula regime as well as thereafter. As Tirumala Tirupati Devasthanam (supra) succinctly put it, the moot question would be – “Was the institution „not one for purposes of profit‟, motives apart?” The Act cannot be interpreted in such a manner as would enable organizations, which are profiting from their activities, to escape the liability to pay bonus to their employees or workmen. Such an approach would entirely defeat the socialist structure of our nation, and violate the preambular declaration in the Constitution of India which would always remain the grundnorm. (iii) Equally, if any institution is set up with the purpose of making profits, the fact that they may not be actually making profits, would not exclude it from the applicability of the Act. (iv) One of the definitive tests, which would assist in determining the issue, would be the dominant purpose for which the enterprise is set up. (v) “Ploughing back” of the profits made, into the institution itself, for its maintenance or otherwise, would, equally, not be a justification to avoid liability under the Act. What is material is the earning of profits, and not the manner in which the profits earned are distributed. (vi) An organization which is run on commercial lines, ex facie, cannot be regarded as “established not for the purposes of profit”. (g) charging of customers, or a majority thereof, on commercial, rather than charitable, basis. 46. It is appropriate, at this juncture, to deal with the Certificate of Registration, issued to the respondent-Hospital under the Societies Registration Act. Mr. Manish Sharma endeavored to impress, on me, the fact that registration, under the Societies Registration Act, was granted only to charitable institutions. It is not necessary to examine the issue, as the Certificate of Registration (which was exhibited, before the Tribunal, as Ex. MW-1/1), is not worth the paper it is written on. The certificate purports to certify that the respondent-Hospital “has this day been registered under the Societies Registration Act, VI of 1998”, and is dated 27thof January 1979. (Act VI of 1998, it may be clarified, is the Jammu and Kashmir Societies Registration Act, 1998.) On the attention of Mr. Manish Sharma being drawn to this fact, he had no response. Fairly, he did not press the point any further. 47. Mr. Manish Sharma does, however, emphatically press, into service, the certificates issued to his client under Section 80-G of the Income Tax Act which, according to him, amount to an acknowledgement, by the Income Tax authorities, that his client is a “no-profit” organization. Mr. Sharma would submit that two different departments of the Government cannot be allowed to adopt different views, regarding the purpose for which his client functions. 48. A perusal of the certificates, issued to the respondent-Hospital under Section 80-G of the Income Tax Act, reveal that they have been issued under sub-section (5) thereof. 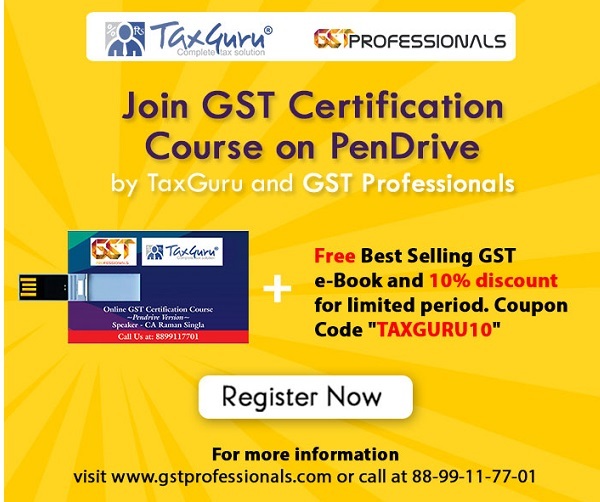 Without reproducing the entire provision, it may be noted that exemption, under sub-section (5) of Section 80-G of the Income Tax Act, is available “to donations to any institute or fund referred to in sub-clause (iv) of clause (a) of sub-section (2), only if it is established in India for a charitable ..” Mr. Sharma would submit that there is no real difference between the expressions “established not for the purposes of profit” and “established for a charitable purpose” and that, therefore, the certificates issued to his client under Section 80-G of the Income Tax Act effectively conclude the factual position that the respondent-Hospital was established not for the purposes of profit. Reading the above definition of “charitable purpose”, as contained in the Income Tax Act, carefully, it is seen that providing medical relief, ipso facto, is treated as a “charitable purpose” there under. Even more significant is the proviso to the said clause, which excepts, from the scope of the clause, i.e., from the scope of the definition of “charitable purpose”, carrying on of activity in the nature of trade, commerce or business, whether or not the income from such activity is retained by the assessee concerned, or not. This exception, however, is expressly made applicable only to the last category of “purposes” referred to in the definition, i.e., to the “advancement of any other object of general public utility”. In other words, the limitation imported into the definition by the proviso thereto, is not apply to providing of medical relief. An institution which provides medical relief is, therefore, per definition, treated as discharging a “charitable purpose”, irrespective of whether its activities partake of the character of trade, commerce or business, or not. Such legislative latitude is not provided, by any provision of the Payment of Bonus Act. In view of the somewhat peculiar definition of “charitable purpose”, contained in clause (15) of Section 2 of the Income Tax Act, therefore, it is not possible to regard grant of a certificate, under Section 80-G (5) of the Income Tax Act, as automatically excepting the holder of such certificate from the applicability of the Payment of Bonus Act. 50. Even otherwise, on first principles, it would be hazardous to presume that every organization, which is certified under Section 80-G of the Income Tax Act, would, of necessity, be entitled, ipso facto, to immunity from the applicability of the Payment of Bonus Act. There is substance, in the contention advanced by Mr. Sanjay Ghose, learned counsel for the petitioner, that the word “charitable purpose”, as used in Section 80-G (5) of the Income Tax Act, may not readily be equated with the words “not for the purposes of profit”, as used in Section 32(v)(c) of the Payment of Bonus Act. It is well-settled principle, of interpretation of statutes, that different words used in one statutory instrument, have to be accorded different meanings, on the presumption that the legislature, in using such different words, must have intended it to be so. The Income Tax Act uses the expression “not for purposes of profit” in various sub-clauses of Section 10(23C) which, it is well settled, is a provision closely interlinked to Section 80-G. Where the two expressions “charitable purpose” and “not for purposes of profit” are used in the same statute, in cognate provisions, even if situated at some distance from each other, they cannot be accorded the same meaning, without due justification. In the present case, the situation would be worse, as Mr. Manish Sharma would exhort this court to equate the words “for charitable purpose”, as used in Section 80-G of the Income Tax Act, with the words “not for purposes of profit” used in Section 32(v)(c) of the Payment of Bonus Act. This, in my opinion, would be entirely impermissible in law. 51. That apart, the object and purpose of the Income Tax Act, and of the Payment of Bonus Act, are completely distinct and different from each other. Per sequitur, the purpose of grant of exemption, in respect of donations made to an organization certified under Section 80-G of the former Act, would be distinct from the purpose of granting immunity, to an organization or institution, from the applicability of the Payment of Bonus Act, under Section 32(v)(c) thereof. No attempt has been made, before me, to equalize, or even analogise, the objects and purposes of the two statutes. What is being sought to be contended is that recognition under Section 80-G of the Income Tax Act would, for that very reason, exclude the institution from the applicability of the Payment of Bonus Act. I am unable to agree with the said contention. 52. Before concluding the discussion on this aspect of the matter, I may also note that the certificates, under Section 80-G of the Income Tax Act, which have been relied upon, by the respondent, state, in one voice, that they have been issued on the basis of “facts stated” by the The nature, and character, of the said “facts”, as stated by the respondent to the Income Tax authorities, is not known to this court. This court does not know whether the respondent disclosed, to the Income Tax authorities, all its activities, and is unaware of the evidence produced by the respondent to justify its claim for certification under Section 80-G. Equally is this court unaware of the nature of investigation, enquiry, conducted by the Income Tax authorities before issue of the said certificate. For this reason, too, the reliance, by the respondent, on the certificates issued to it, under Section 80-G of the Income Tax Act, to press its claim for immunity from application, to it, of the Payment of Bonus Act, has to be characterized as misplaced. 53. For the same reason, the reference, to the equipments, imported by the respondent-Hospital, being entitled to exemption from payment of Customs duty, is equally misguided. Notifications granting exemption from customs duty are governed by their own stipulations and conditions. In the present case, no such notification has specifically been referred to by the respondent. This court has, in another similar matter which came before it, seen that the certificate issued by the Ministry of Health, on the basis whereof exemption from payment of Customs duty was sought by the hospital concerned, specifically stated that the hospital was being certified as a charitable hospital in view of the terms and conditions, governing such certification, contained in the Customs notification. Such notifications operate in an entirely different regime, not even distantly similar to the Payment of Bonus Act. 54. Reverting to the determinative tests, to decide whether an establishment is being run “not for the purposes of profit” and is, consequently, entitled to the benefit of Section 32 (V)(c) of the Act, as set out in para 42 supra, if one were to apply the said tests to the respondent-Hospital, it is difficult to accept, at face value, the contention, of the respondent-Hospital, that it could be regarded as established “not for the purposes of profit”. It is positively found, by the Tribunal, that profits were, in fact, earned by the respondent-Hospital, but the said aspect has been discounted on the reasoning that the profits were funneled back into the respondent-Hospital to enhance its services. As a result thereof, the Tribunal holds that the Hospital had expanded, from a small institution in 1986 to a 312-bedded hospital as on the date of the Award. Which, needless to say, would have further expanded, manifold, over the period of nearly a decade and a half during which this litigation has remained pending before this court. The Tribunal has held in favor of the respondent by relying on the “object of the Trust”, as set out in its Bye-laws. Even on this aspect, all that is observed, in para 15 of the impugned Award, is that “one of the object of the trust is setting up of hospitals or other medical institutions for administrating medical relief to needy, carrying out medical and clinical research, grant of medical help to poor which clearly goes to show that the objective for which the society is formed and for which the hospital is established is not for earning profits”. The finding, in my view is totally presumptuous in nature. The Tribunal does not disclose how, or why, it presumes that a Trust, which sets up hospitals which, inter alia, provide free treatment to needy patients, is not working “for the purpose of profit”. It has to be realised, in this context, that expectation of profit, while running an enterprise, is not a sin. Neither is it immoral to run a hospital on commercial lines. However, earning of such profit would necessarily entail the responsibility of sharing some part of such profit with the employees or workmen, whose effort have significantly contributed towards the earning of the profit. That is all that the Act requires, and it would be ex facie unconscionable, for the enterprise, to shirk the said responsibility. 55. I agree, with the observation, of the Tribunal, that the petitioner was unable to substantiate its allegation of misuse, by the family members of the Trust managing the respondent-Hospital, of the funds and profits earned by the Hospital from its patients. That, however, does not carry the case of the Hospital any further. What has to be seen is whether the Hospital was earning profits, or whether it was functioning without any intention or expectation, of such earning. 56. It was admitted by MW-1 – the only witnesses cited by the respondent-Hospital in its defence – in cross-examination, that the Hospital was catering to two categories of patients, those who were being charged, and those who were being treated free. While asserting that persons having an income of less than Rs. 2500/– per month could be regarded as “poor”, MW-1 fairly admitted that he was not in possession of any material, on the basis whereof it could be established that such “poor” persons were being granted free treatment by the respondent-Hospital. It was, however, admitted that the Hospital was run on the basis of the income received from patients, apart from donations given to it. MW-1 was also unable to point out the location, in the hospital, if any, where it was displayed that the hospital was run on charitable lines and was unable to name a single patient who had been given free treatment by the Hospital. He admitted the fact that the Hospital issued a booklet, depicting the rates charged by it for various services rendered, and that these rates were applicable to persons who were charged by the Hospital. While asserting that it was incorrect to suggest that the Hospital had not mentioned, in its brochures, that it was providing any free treatment, the said witness admitted, in the same breath, that he could not recall where such information was provided, in any of the brochures issued by the Hospital. He frankly conceded that the only document, to support the assertion, in para 9 of his affidavit-in-evidence, to the effect that the respondent-Hospital was established for charitable purposes, was the communication, dated 8th September 1999 supra, from the Assistant Labour Officer to the All India General Mazdoor Trade Union, which was issued merely on the basis of the communication, from the respondent-Hospital, to the effect that it was not subject to the Act, being entitled to the benefit of Section 32(v)(c) thereof. The said communication, is neither here nor there. Rather, I find, from the Statement of Claim filed by the petitioner, before the Tribunal, that there are specific allegations, in para 4 thereof, that the respondent-Hospital was charging huge amounts even to hand over dead bodies, to the relatives of patients who had perished during treatment. It was further specifically asseverated, by the petitioner in the said para, that, in some cases, police intervention had also been necessitated. Barring a bald denial, the Written Statement, filed by the respondent-Hospital before the Tribunal, is blissfully silent regarding these allegations. These allegations were reiterated, by WW-1 Vijay Singh, in his affidavit-in-evidence, filed before the Tribunal, and there is no specific rebuttal, thereto, in the affidavit-in-evidence of MW-1 Ajay Jawatkar. The allegations have, therefore, to be regarded as true. It has also been asserted, by the petitioner, in the Statement of Claim, as well as by WW-1 Vijay Singh, in his affidavit-in-evidence, that the balance sheet, of the respondent-Hospital, showed huge profits, though these profits did contribute towards the betterment of the services provided in the hospital. The factor of huge profits having been reflected in the balance sheet of the Hospital is also not specifically denied in the Written Statement filed by it, except for yet another bald statement, that the Hospital was not earning huge profits. In the very next breath, the Written Statement admits that the advancement of the hospital was attributable to the income and profits earned by it. 57. Ex facie, therefore, the respondent-Hospital cannot be regarded as established “not for the purpose of profit”, as required by Section 32(v)(c) of the Act. The impugned Award of the Tribunal, which proceeds on assumptions and presumptions, without considering the material evidence on record, in the form of, inter alia, the witnesses‟statements, and the contents of the affidavits filed by them, and, instead, applies tests that find no place in the Act, has necessarily to be characterized as perverse, and cannot sustain on facts or in law. 58. Resultantly, the impugned Award, of the Tribunal, is quashed and set aside. The respondent-Hospital is declared to be covered by the Payment of Bonus Act, 1965, and not entitled to the benefit of Section 32(v)(c) thereof. The reference, made by the Secretary (Labour), Government of National Capital Territory of Delhi, to the Tribunal, vide Notification No F.26 (66)/2002-Lab./2586-90, dated 1st February 2002, is answered in favour of the petitioner and against the respondent-Hospital. Consequential relief, to the workmen of the respondent-Hospital, who had petitioned the Tribunal, as well as to all other workmen of the respondent-Hospital, shall follow. In case of any default, by the respondent-Hospital, in disbursement thereof, in whole or in part, the workmen are at liberty to move the Tribunal by way of appropriate application(s) which, if moved, shall be decided expeditiously by the Tribunal, in view of the fact that, owing to the pendency of this matter before this court, the workmen of the respondent-Hospital have already been denied their legitimate right for nearly a decade and a half. 59. The writ petition is allowed in the above terms. 60. There shall be no order as to costs.